The North Texas region falls into USDA Hardiness Zone 8a and Zone 7b. These zones, which include Dallas and Tarrant counties and their surrounding areas, are amenable to fall and winter growth. This is due to the region's temperate climate. 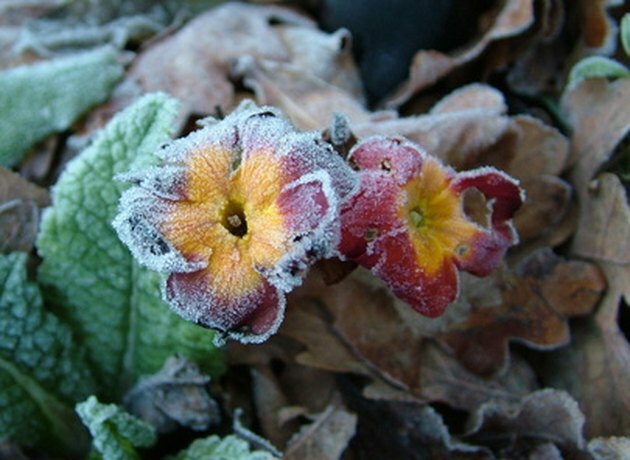 Cold snaps are brief but can be harsh, so it is important to choose plants that can survive extreme cold, especially during the winter months. Chrysanthemums are a common autumn flower in North Texas. Chrysanthemums thrive in the North Texas autumn weather. 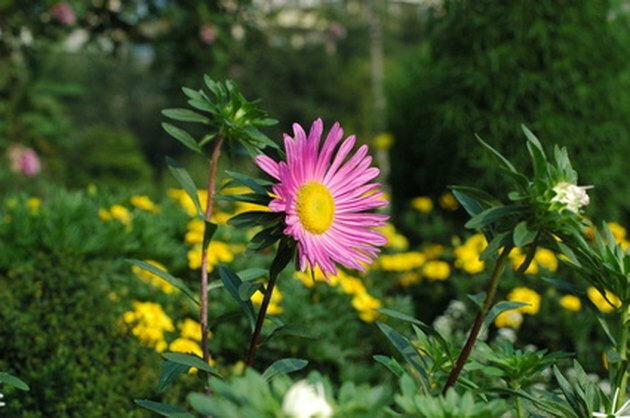 Colloquially called mums, the flowers come in two varieties: flattened or elongated with ray florets, or short and tufted with a rounded head. They are perennials and, with proper care, will last for several years. They perform best in full sun and can thrive in rock gardens and as low borders. 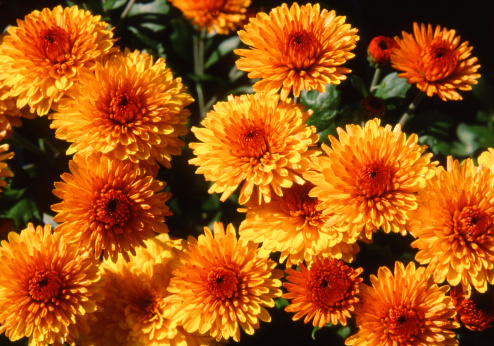 Mums are vulnerable to aphids, thrips and root diseases. Early detection of root disease is imperative: if too much time has passed before treatment, you may lose the plant. Panies are hardy plants ideal for North Texas winters. Pansies are the most popular flower in North Texas gardens due to their hardiness and bright colors. According to "Neil Sperry's Complete Guide to Texas Gardening," plant pansies directly from starter containers into your gardens approximately two to four weeks prior to the last killing frost, so they will be well-established and better able to survive a freeze. For best results, remove old blooms to encourage new flower production. Jan Pipher, of Texas Gardener, recommends planting pansies after average evening temperatures fall below 70 degrees Fahrenheit, or in November. Fall aster blossoms from September to November in North Texas. The Texas aster, or Aster oblongifolius, blooms from September to November in North Texas and emits a pungent aroma. This Texas native is a perennial and requires little maintenance. 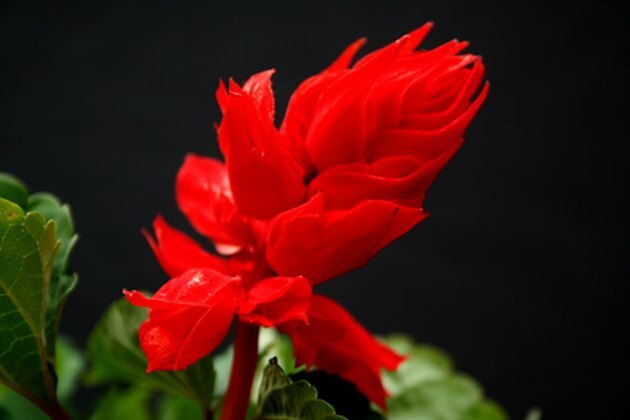 It can reach heights of up to 3 feet and spread out to 4 feet wide, making it a good cover or border plant. 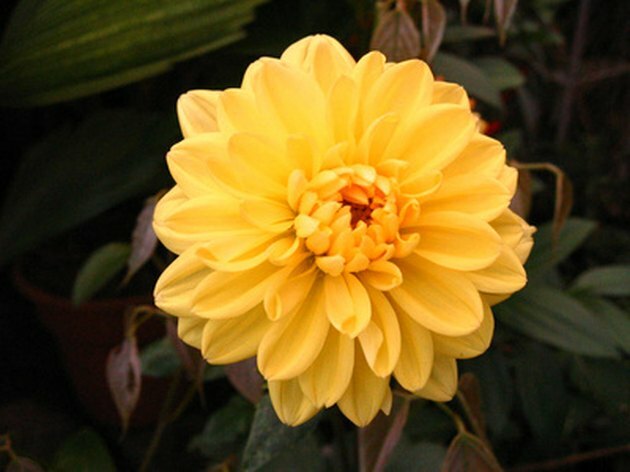 It performs well in sandy, rocky and well-drained soil and in full sun to partial shade. For best results, plant in August in order to see autumn blooms. Snapdragons thrive in winter weather. Snapdragons thrive in chilly weather, making them a good choice as a winter flower in North Texas. According to Jimmy Turner of the Dallas Arboretum, flowers grown during the winter will "bulk up and produce many more flower stems and bloom longer than those planted in early spring." They can survive a hard freeze as long as they don't dry out during the cold. Neil Sperry advises planting snapdragons 12 inches apart, starting from nursery transplants.